Do you remember when we said some big weekend closures were coming up? Well, “coming up” is here, and the best thing drivers can do is be informed and plan ahead. Hopefully this will help. 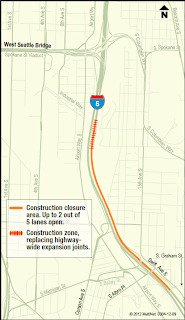 On consecutive weekends – March 29-April 1 and April 5-8 – drivers will see significant lane closures on northbound Interstate 5 near South Albro Place to the West Seattle Bridge/I-5 interchange. From 8 p.m. Friday to 5 a.m. Monday, three out of five lanes will be closed around the clock, leaving two lanes open. From midnight to 4 a.m. Friday and Sunday nights, an additional fourth lane will close, leaving one lane open. That’s a big closure, and we need some big help! 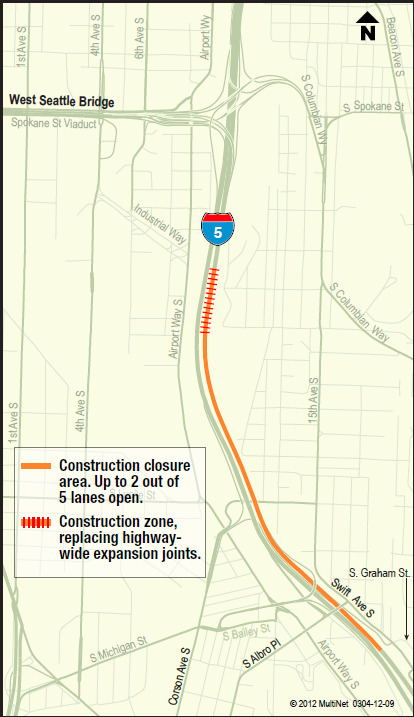 We’ll get into specifics below, but overall, we need at least 60 percent of drivers who normally use northbound I-5 to take alternate routes or be prepared to face long delays. Can you be in that 60 percent? 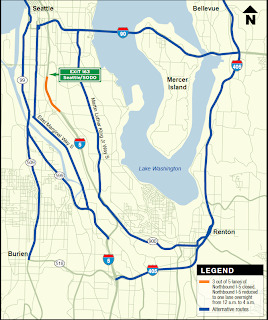 The closure covers about a quarter of a mile just south of downtown Seattle. 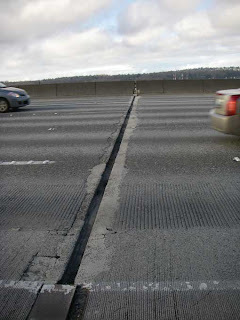 The stretch was constructed in 1965 but 50 years of traffic has weakened the steel expansion joints that connect the concrete spans that make up I-5 as it curves through the industrial area. Yes, we know the first closure comes during Easter. 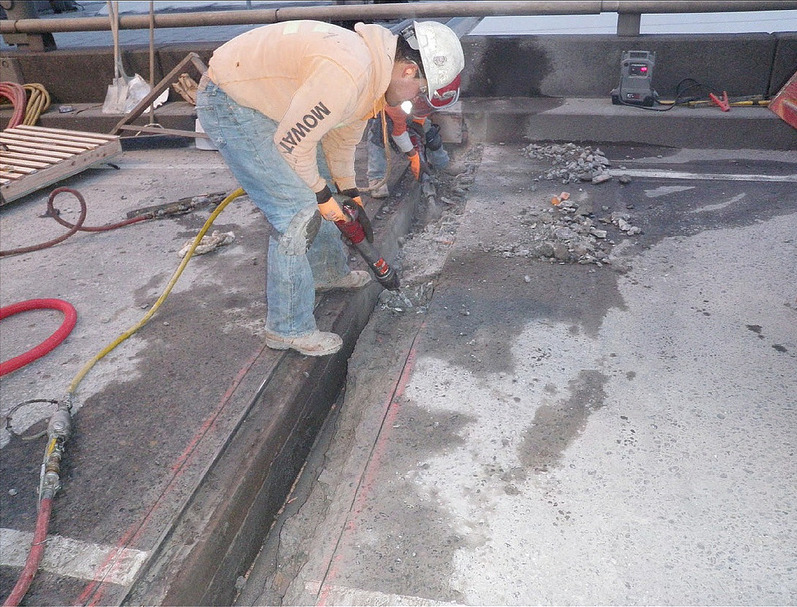 But this is critical safety work that is part of the Spokane Street Interchange Special Bridge Repair project and it simply has to get done. Without this work, the risk for serious collisions will continue to grow. With so much going on in Seattle, there are no “good” weekends for this kind of closure, so we do everything we can to make it as painless as possible. 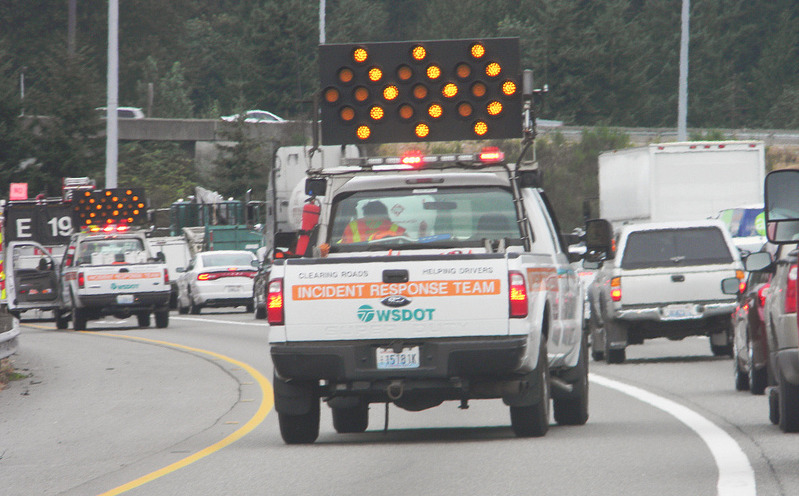 Additional WSDOT Incident Response Team members will help clear blocking vehicles during the weekend closures. We’ve worked closely with existing projects to coordinate work. We’ll have crews in the field monitoring traffic and the construction work and making adjustments as needed. Extra Incident Response Team trucks will be available to quickly clear any disabled vehicles to keep traffic moving. Travel times, alternate route options and any other updates will appear on overhead message boards and on our website and Twitter feed. 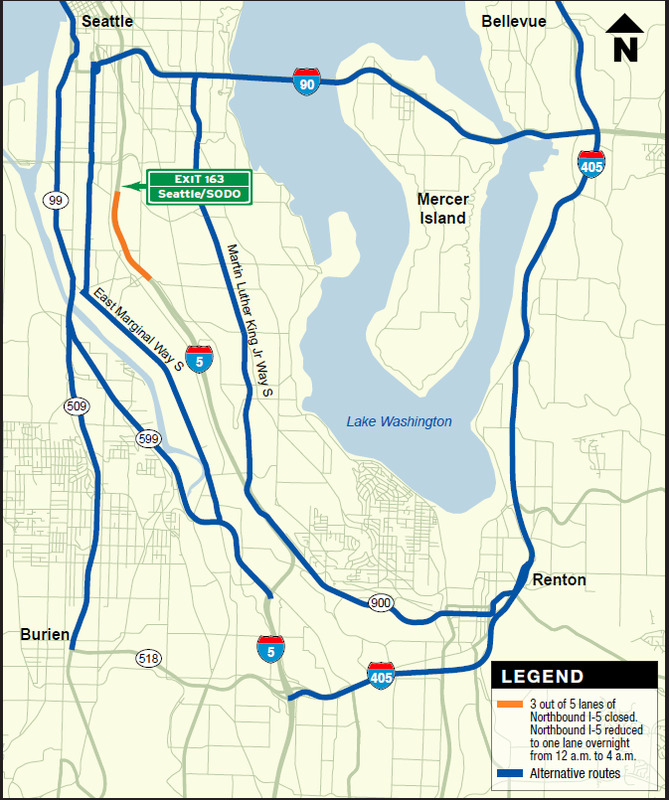 Additionally, we’re keeping the I-90 express lanes westbound all weekend to help improve traffic flow. There are plenty of alternate routes to get around the northbound I-5 closure, add extra time to your trip. If you must drive through the area, add plenty of extra time into your trip. We expect the heaviest traffic to come midday Saturday and Sunday on northbound I-5 and I-90 into Seattle and on I-405 approaching I-90. 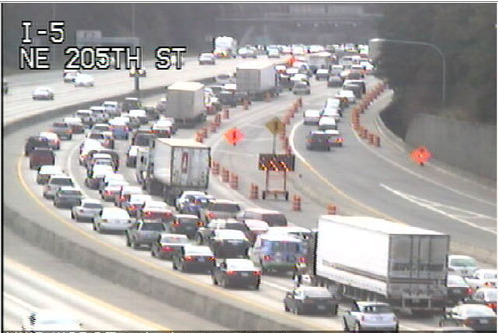 Consider using alternate routes like northbound I-405 to I-90 and northbound SR 599 to SR 99. Maybe now is a good time to try public transportation or carpool. Download our mobile app to stay plugged in. 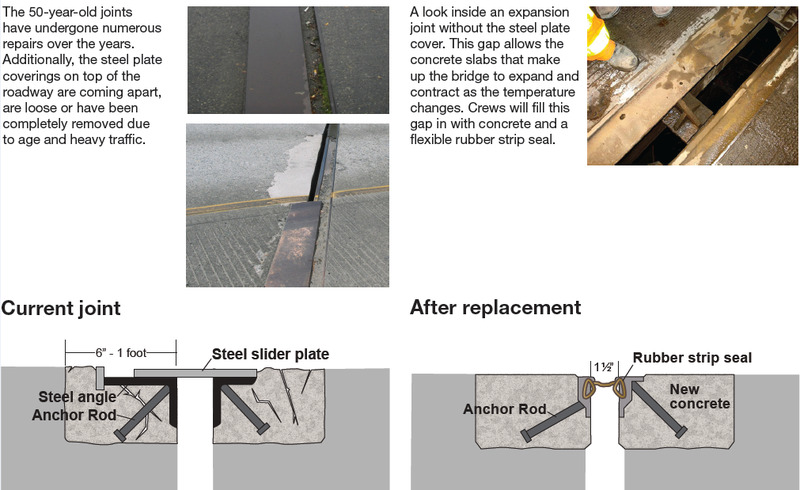 A look at a bridge expansion joint without the metal plate covering the gap. 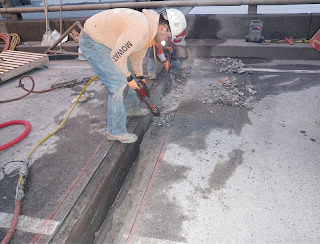 During the closures, crews will replace four expansion joints that run the width of the highway. If they fail, they can pop up and create obstacles for vehicles, which could lead to collisions and damage to the cars or trucks. We are committed to keeping our highways as safe as possible and we’re working to prevent any problems before they arise. The current joints are coming apart. No surprise, since this section of highway carries more than a million vehicles every week. The new joints will bend and flex as the concrete expands and contracts with changing traffic and weather patterns, leading to a safer commute. Backups on northbound I-5 are inevitable during the closures. How long they stretch depends on how many people use alternate routes. 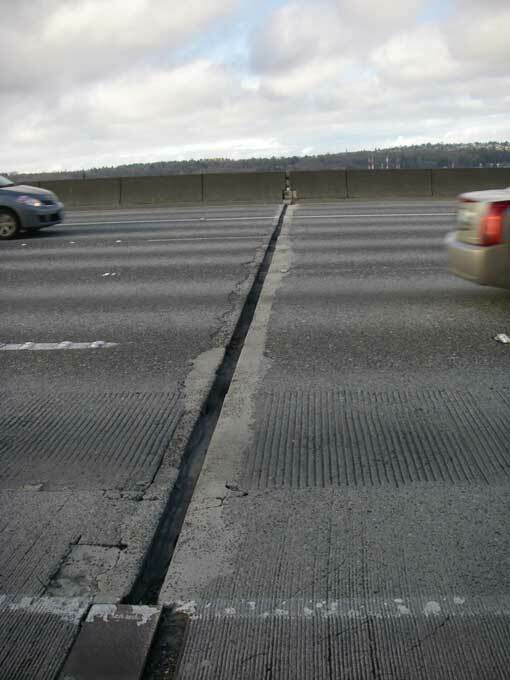 We know there are going to be backups on northbound I-5 during these closures. Those are impossible to avoid. But with some planning ahead of time, adjustments to schedules or routes and simply knowing what is going on and what to expect, we hope that at least some headaches will be avoided, and we thank everyone for their patience and cooperation! This entry was posted on Monday, March 25, 2013 at 11:25 AM. You can follow any responses to this entry through the RSS 2.0. You can leave a response.